British Citizen Passport Holders will be required to obtain a travel visa before entering Saudi Arabia. Please note that the granting of any Saudi Arabian Visa is dependent upon consular discretion. Express services are available upon request. The standard processing time is up to 15 working days. If you hold a British Citizen Passport* and are travelling to Saudi Arabia for tourist purposes, we are be unable to provide visa application services. 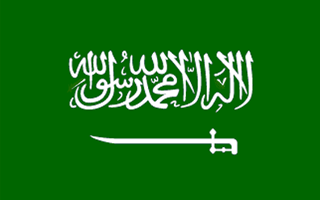 Visas for this destination must be obtained by authorised Saudi tour operators, third party agents are not permitted to obtain these visas on your behalf. Valid for 6 months. Allows for two stays of up to 30 days at a time. Valid for 6 or 12 months. Allows for multiple stays of up to 30 days at a time.